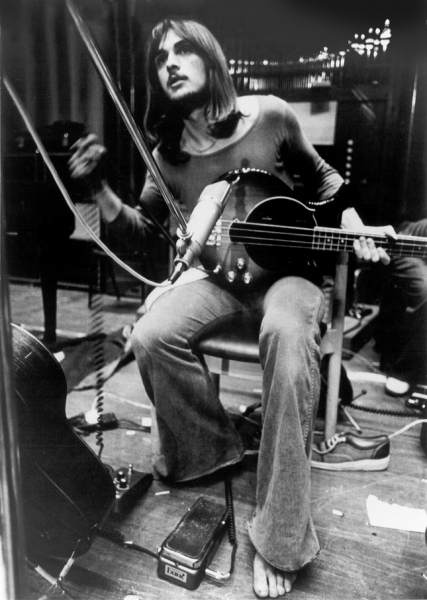 Composer Mike Oldfield rose to fame on the success of Tubular Bells, an eerie, album-length conceptual piece employed to stunning effect in the film The Exorcist. Born May 15, 1953, in Reading, England, Oldfield began his professional career at the age of 14, forming the Sallyangie folk duo with his sister Sally; a year later, the siblings issued their debut LP, Children of the Sun. By the age of 16, he was playing bass with Soft Machine founder Kevin Ayers’ group the Whole World alongside experimental classical arranger David Bedford and avant-garde jazz saxophonist Lol Coxhill; within months, Oldfield was tapped to become the band’s lead guitarist prior to recording the 1971 LP Shooting at the Moon. Tubular Bells, originally dubbed Opus 1, grew out of studio time gifted by Richard Branson, who at the time was running a mail-order record retail service. After its completion, Oldfield shopped the record to a series of labels, only to meet with rejection; frustrated, Branson decided to found his own label, and in 1973 Tubular Bells became the inaugural release of Virgin Records. 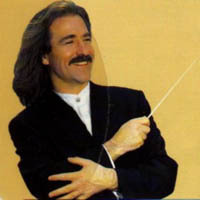 An atmospheric, intricate composition that fused rock and folk motifs with the structures of minimalist composition, the 49-minute instrumental piece (performed on close to 30 different instruments, virtually all of them played by Oldfield himself) spent months in the number one spot on the U.K. charts, and eventually sold over 16 million copies globally. In addition to almost single-handedly establishing Virgin as one of the most important labels in the record industry, Tubular Bells also created a market for what would later be dubbed new age music, and won a Grammy for Best Instrumental Composition in 1974. The follow-up, 1974’s Hergest Ridge (named after Oldfield’s retreat in a remote area of Herefordshire) also proved phenomenally successful, and dislodged Tubular Bells at the top of the British chart. With 1975’s Ommadawn, he explored ambient textures and world music; however, the emergence of punk left Oldfield baffled, and he retreated from sight for three years following the LP’s release. He resurfaced with 1978’s Incantations. Platinum, issued a year later, kept its eye on the clubs, and featured a dance version of the Philip Glass composition “North Star.” With 1980’s QE2, Oldfield moved completely away from his epic-length pieces and traveled into pop territory, a shift typified by the album’s cover of ABBA’s “Arrival.” He continued in a pop vein for much of the ’80s, as albums like 1983’s Crises, 1984’s Discovery, and 1987’s Islands encroached further and further upon mainstream accessibility. In 1992, Oldfield teamed with producer Trevor Horn for Tubular Bells II, which returned him to the top of the U.K. charts. The Songs of Distant Earth appeared two years later, followed by a third Tubular Bells update in 1998. In 2003, Oldfield re-recorded Tubular Bells in celebration of its 30th anniversary, with John Cleese as master of ceremonies replacing the late Vivian Stanshall; the album was issued as a two-disc set including a video disc. Light + Shade, a double-disc conceptual work of new studio material, appeared in 2006. An album-length classically influenced piece, Music of the Spheres, a work deeply influenced by classical music, appeared in 2008, followed by a live offering. After a four-year break from his own work, Oldfield reentered the studio and began working on a return to pop/rock-influenced music. In early 2014 he emerged with Man on the Rocks. The critical reception was the best he’d received since the ’90s and it charted all over Western and Eastern Europe. Two years later, alongside the re-release of remastered scores from 1984, he issued the vinyl-only The 1984 Suite, which remixed highlights from Discovery and The Killing Fields. 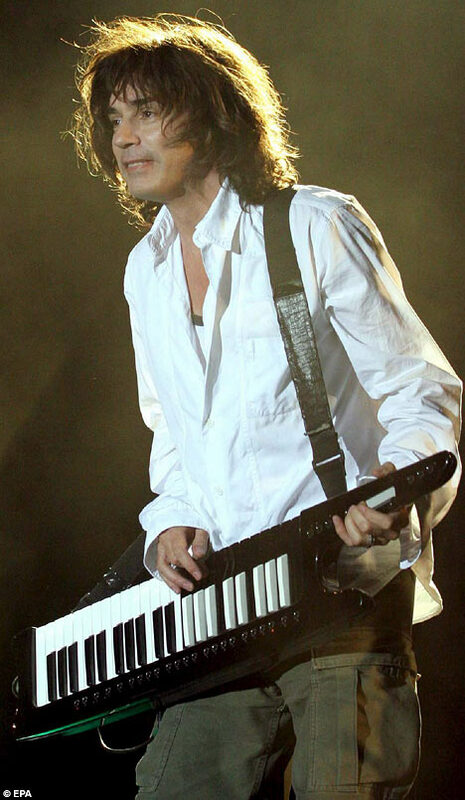 In late 2015, Oldfield announced via Twitter that he had begun to work on a sequel to 1975’s Ommadawn. He completed it the following November. Containing two tracks, simply titled “Part I” and Part II,” the composer described it as “handmade… a genuine piece of music rather than production: hands, fingers, fingernails.” It features 22 instruments including mandolin, guitars, acoustic bass, bodhran, African drums, and tin whistle. Its lone sample is from a line by the children’s choir on the 1975 date in the song “On Horseback.” Return to Ommadawn was released in January 2017. Universal’s Mike Oldfield expanded remaster campaign begins with reissues of two of his more pop-friendly records: 1982′s Five Miles Out and 1983′s Crises, both of which will come packed with extras in September. While both albums featured their share of ambitious and complex pieces like “Taurus II” and Crises‘ title track, there was an increasing presence of keyboards on both albums, notably the Fairlight CMI and Oberheim OBX synthesizers. On Five Miles Out, Oldfield made rare vocal appearances alongside Scottish singer Maggie Reilly, who’d first collaborated with Oldfield on 1980′s QE2 and would work with him throughout the 1980s. Crises, meanwhile, features vocals from Reilly, British vocalist Roger Chapman and Jon Anderson of Yes. While Crises yielded Oldfield’s most successful single in Europe with “Moonlight Shadow,” Five Miles Outyielded what is technically his most successful song in the U.S.: “Family Man,” which was taken to No. 6 in 1982 by Daryl Hall & John Oates. And what extras await you on the expanded editions of these albums? Five Miles Out will be released as a three-disc deluxe edition – two CDs and a DVD. The first disc features the original, remastered album augmented with non-LP B-side “Waldberg (The Peak)” and a demo of the title track, while the second features eight tracks from a 1982 live show in Cologne, France. The DVD features the original album, newly remixed by Oldfield in 5.1 surround sound, as well as a promo video for the title track. Crises, meanwhile, gets quite the deluxe treatment, available as a five-disc box set. The remastered album is augmented on Disc 1 with non-LP singles “Mistake” and “Crime of Passion” (along with its B-side “Jungle Gardenia”) and 12″ mixes and new “unplugged” mixes of singles “Moonlight Shadow” and “Shadow on the Wall.” Discs 2 and 3 feature another live show, this time from Wembley Arena in the summer of 1983. Finally, the box closes out with two DVDs: one of promo videos and live footage, the other of the album mixed in 5.1 surround sound. Additional formats will be available, including single-disc remasters and newly-cut LP editions. (Limited colored vinyl variants will be made available, as well.) Crises will also be given a standard Universal Deluxe Edition release, distilling the live material to one disc. All configurations will be available in the U.K. on September 1, with Amazon U.K. pre-orders (and Amazon U.S. pre-orders for the deluxe editions) live now. 2CD+DVD: Amazon U.S. / Amazon U.K.
3CD+2DVD: Amazon U.S. / Amazon U.K.
Fiel a su cita, poco antes del verano, para el 23 de Julio, ya llegan las esperadas reediciones.. En esta ocasión son las de PLATINUM & QE2. Universal Music Catalogue/Mercury Records are delighted to announce the fifth and sixth in Mike Oldfield’s critically acclaimed reissue programme, Platinum and QE2. Like the previous releases in the series, Mike Oldfield has been closely involved in their assemblage, approving masters, selecting and adding material from his archive to make the packages definitive editions. Recorded in part at Electric Lady Studios in New York City, the mood of Oldfield’s fifth album especially reflects the bustling dynamic of the city in the late Seventies. It was Oldfield’s first album to feature shorter songs, including a beautiful version ofGeorge Gershwin’s I Got Rhythmand a new arrangement ofNorth Star by Philip Glass. The 2012 remastered edition contains three bonus tracks – a live studio session of Platinum, a 2012 mix of North Star by Oldfield and the single A-side, Blue Peter. The second disc of the Deluxe edition – which features an interview with Oldfield in its 16-page booklet – contains nine previously unreleased tracks recorded during the Platinum tour at Wembley Arena in May 1980. The 2012 remastered edition contains three bonus tracks, thesingle edit of Wonderful Land, the live B-side Polka, and a2012 reworking by Mike of Sheba, entitled Shiva. The second disc of the Deluxe edition, which contains an interview with Mike in its 16-page booklet, features nine previously unreleased tracks recorded on the QE2 tour in Essen, Germany in April 1981. En un momento de incipiente crisis en la industria musical, no deja de haber ciertos artistas que con vocación de funcionario, consiguen vivir del cuento años y años, trabajando poco y cobrando mucho (a fin de cuentas el sueño de todo SER HUMANO). Con esto me ganaré la enemistad de fans y fans de los músicos que vienen en la lista, pero teniendo en cuenta que muchos de ellos están entre mis favoritos y que este es mi post, vayamos al evento en sí. Esta banda fundada en 1985 sería la GRAN ESPERANZA BLANCA del hard rock, pegando el pelotazo del siglo y vendiendo 100 millones de discos. Su principal caracteristica era servir de disculpa para sus fans (poperos de toda la vida con ganas de parecer duros) de ser muy machotes por escuchar a un grupo que en un concierto murió un espectador. Su carrera no fue muy pródiga en grabaciones, es más, en todos los discos meterían muchas versiones de otros artistas que, a la postre se convertirian en sus grandes éxitos como Live and let die, Simpathy for the Devil o la muy socorrida Knockin’ on Heaven’s Door. Si eso ya son ganas de trabajar más bien poco, el despropósito vendría después. Tras el lanzamiento en 1993 de The Spaghetti Incident? (un disco con SOLAMENTE VERSIONES… si ya se les veía la tendencia), empezaría el anuncio infinito de un nuevo álbum que sería la grabación definitiva de la banda. Como eso de hacer una grabación definitiva suena a mucho esfuerzo, cada miembro del grupo se dedico a hacer el vago, en especial AXL ROSEque se dedicaría a ponerse ciego a papelones de chocos en la freiduiría Las Flores de Cádiz, hasta adquirir el aspecto de haberse comido a FALETE. 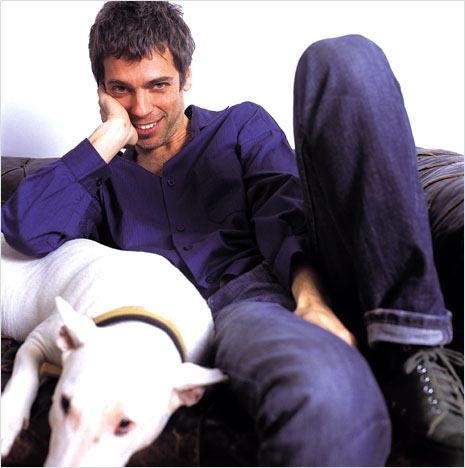 El caso es que su siguiente álbum no llegaría hasta 2008: 15 AÑOS PARA HACER UN PUTO DISCO de catorce canciones… ¡¡¡A MENOS DE UNA CANCIÓN POR AÑO!!! 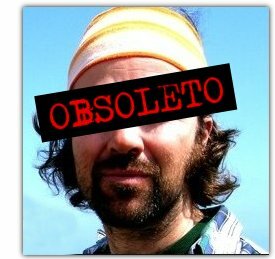 Efectivamente, el FOLLONERO dijo publicamente lo que todo el mundo pensaba: TODAS LAS CANCIONES DE JARABE DE PALO SON IGUALES. El método de composición se basa en coger una palabra al azar (Bonito,Depende, Ying yang, Ole…), repetirla hasta la saciedad y combinarla con rimas propias de un INSTITUTO DE SECUNDARIA (te quiero mucho, como la trucha al trucho). Por si fuera poco en una carrera de seis discos cuenta con tres recopilatorios, más su último álbum Orquesta Reciclando, donde vuelve a hacer una amalgama de REFRITOS volviéndose a versionar a si mismo. ¿No lo odian ya? Pues además, a pesar de copiarse a si mismo, le mosquea TELA MARINERA que no le compren sus discos. El problema vino en que fueron víctimas de su propio éxito. La actividad de Iron Butterfly va desde 1966 a 2004, pero en esos 38 años tan solo han publicado seis discos y el último es de 1976. Vamos, que se han dedicado durante todo ese tiempo a tocar únicamente LA CANCIONCITA DE MARRAS. Eso es rentabilidad de su CUENTA NARANJA. Hijo de uno de los grandes compositores de bandas sonoras, Maurice Jarre, JUAN MIGUEL DE LAS JARRAS se puso a jugar desde muy joven con unos CASIOTONES bestiales que tenía en su casa, con lo que terminaría lanzando Oxygene, el disco que cambiaría para siempre el sino de la música electrónica. El álbum en sí se basa en utilizar tropocientos sintetizadores y hacer ruidos pedorros raros durante todo el disco y un par de temas más radiables donde se tocaban TRES PUTAS NOTAS haciendo algo así como TIRURIRURÍ. Ya empezamos a meternos en puestos interesantes del ranking con otro gran clásico hispano. Luis Cobos empezaría su carrera como saxofonista, no dando todavía VERGÜENZA AJENA por aquella época. Sería la CBS la que le daría la oportunidad de hacerGROTESCAS MANIOBRAS EN LA OSCURIDAD cuando lo contrató para hacer arreglos modernos de piezas clásicas. Una melodía estupenda para ver con VERGÜENZA a tu tío el del pueblo bailando borracho en la boda de tu prima. Lo que iba a ser uno de los grupos más prometedores de la escena rockera mejicana se ha convertido en uno de los grupos más CARADURAS y flojeras que han visto estas tierras. Pongámonos en situación, cuando su éxito llega a Ejpaña en 1997 con el álbum Sueños Líquidos, el cuarto disco de su carrera. En la escalera del patio del instituto, esperando sin éxito que los elijan para el partidillo de fútbol. En 1999, tras el lanzamiento de ese disco les pareció buena idea lanzar un recopilatorio “anplaj” con el contenido de sus cuatro discos (sin tener en cuenta que en 1995 ya habian sacado otro disco en directo). Ya empezamos a repetir canciones pero bueno, todavía es razonable. Pero ostras, al año siguiente llega Todo Maná, otro recopilatorio con las mismas canciones. Para disimular un poco, en 2002 sacan nuevo álbum, Amar es combatir. Pero ahora viene lo de traca, en 2004 no es que saquen un recopilatorio es que SACAN TRESy en 2005 OTRO MÁS. Entre recopilatorios y directos llevamos MÁS DISCOS RECOPILATORIOS QUE DE ESTUDIO. 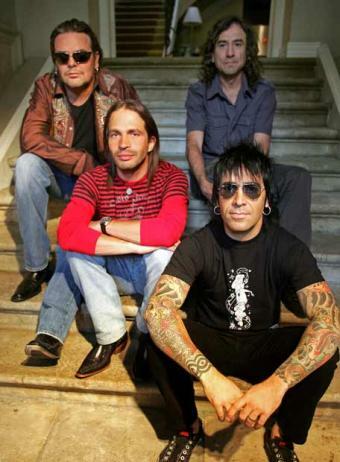 En 2006 nuevo disco y en 2008 OTRO DIRECTO, ¡¡¡otra vez las mismas putas canciones!!! ¡¡¡WTF!!! Europe fue uno de esos grupos MELENUDOS heavys (como ESQUIZOMBI pero con laca y cardado) de los 80 que consiguieron aunar éxito con greñas. En 1986 lanzaron The Final Countdown y aunque corre esa leyenda, no es ni mucho menos el único disco que sacaron. Su discografía comprende ocho TRUÑOS INFUMABLES que han provocado que siempre que veamos a Europe toquen The Final Countdown (bueno, KISS FM pone Carrie, pero eso es de nenas). Así que todos estos años dale periquito al torno con lo mismo. Por suerte, en España disfrutamos de una campaña electoral de ALIANZA POPULAR que usaron The Final Countdown como música de campaña, lo que nos permite asociar el heavy con MANUEL FRAGA. Efectivamente, lo hicieron por los loles. Tras ese periplo musical y, curiosamente, coincidiendo con cuando NO VENDÍA, decidía darse un toque intelectual presentando LINGO, demostrando ser totalmente egocéntrico al intentar ser más protagonista que los concursantes, para después pasar a ser colaborador de CRÓNICAS MARCIANAS. Aquí vamos con uno de los grandes… fue miembro de Tequila y Los Rodríguez, grupos que terminarían disolviéndose y donde tanto ALEJO STIVEL como ANDRÉS CALAMAROcomenzarían carreras en solitario de éxito. Pero claro, para eso hay que seguir componiendo. El sistema ROT es mucho más práctico, mejor me dedico a no para de tocarRock ‘n Roll en la plaza del pueblo y Mucho mejor, y dejamos lo de componer a los PRINGADOS. A partir de ahí nos encontramos con un tipo que dedica más a opinar de música que a hacerla, participando incluso en un programa de radio con JAIME URRUTIA (que se salva de esta lista por los pelos). Y llega el rey de reyes que, muy a mi pesar, encabeza la lista con méritos más que sobrados: MIKE OLDFIELD, si, si, el del exorcista, si, si, el de las campanitas. La historia de éxito de este muchacho data de 1973 cuando con 20 años da más vueltas que una peonza en busca de una discográfica que publique su pieza instrumental de 50 minutos. Al final el dueño de una tienda de música, RICHARD BRANSON, se atrevería a crear su propia discográfica para publicar Tubular Bells: VIRGIN. – 1995. en su álbum The Song of the Distant Earth está el tema TUBULAR WORLD, sospechosamente similar a la tonadilla famosa por el EXORCISTA y el TenoriON. – 1998. por un lado lanza TUBULAR BELLS III, por otro TUBULAR X, donde mezcla la famosa melodía con la de EXPEDIENTE X, empezando a reirse descaradamente de la peña. Además aparece una edición 25 aniversario. – 1999. Lanza THE MILLENNIUM BELL, donde la campanita está más injustificada que nunca. – 2001. THE BEST OF TUBULAR BELLS, un recopilatorio de lo mejor de todo el anterior. DOS TAZAS. – 2003. TUBULAR BELLS 2003, regrabación de nuevo de lo mismo. – 2009. TUBULAR BELLS 2009, remasterización echa en las BAHAMAS mientras se toma un daikiri y se rie de todos sus fans. 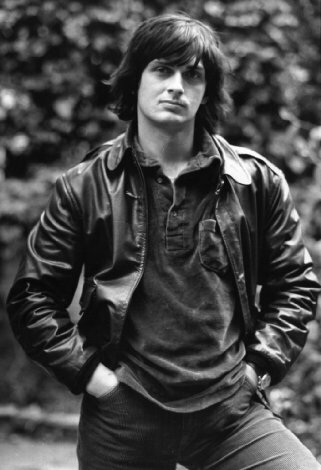 Hace veinticinco años, Mike Oldfield (Reading, 1953) era un niño prodigio de veinte años y unas cintas con una extraña música bajo el brazo. Cintas que le habían rechazado todas las compañías discográficas inglesas. El otro personaje de nuestro cuento, Richard Branson, dueño hasta entonces de una tienda de discos y de un servicio de venta por correo, fue el único que creyó en el chaval decidiéndose a editar el curioso material y a empezar con él Virgin, un nuevo sello discográfico. Como ya supondrá el avezado lector, el disco se convirtió en un inmenso éxito y en la plataforma de despegue para que Oldfield se erigiera en adalid del rock adulto y precursor de la new age y Branson se tornara en colorista millonario capaz de poner en marcha los más variopintos negocios (hasta unas líneas aéreas propias) y las más costosas excentricidades, como recorrer el mundo en globo. 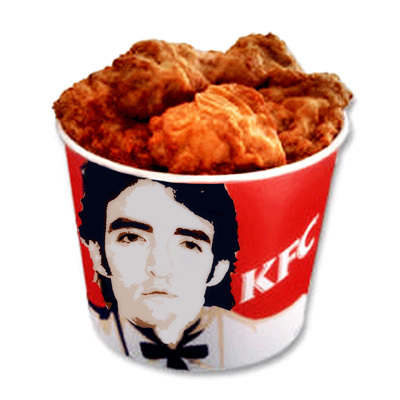 Vamos, que el disquito de marras cambió sus vidas para siempre instalándoles definitivamente en el templo de los comedores de perdices. ¿Que cómo se llamaba? 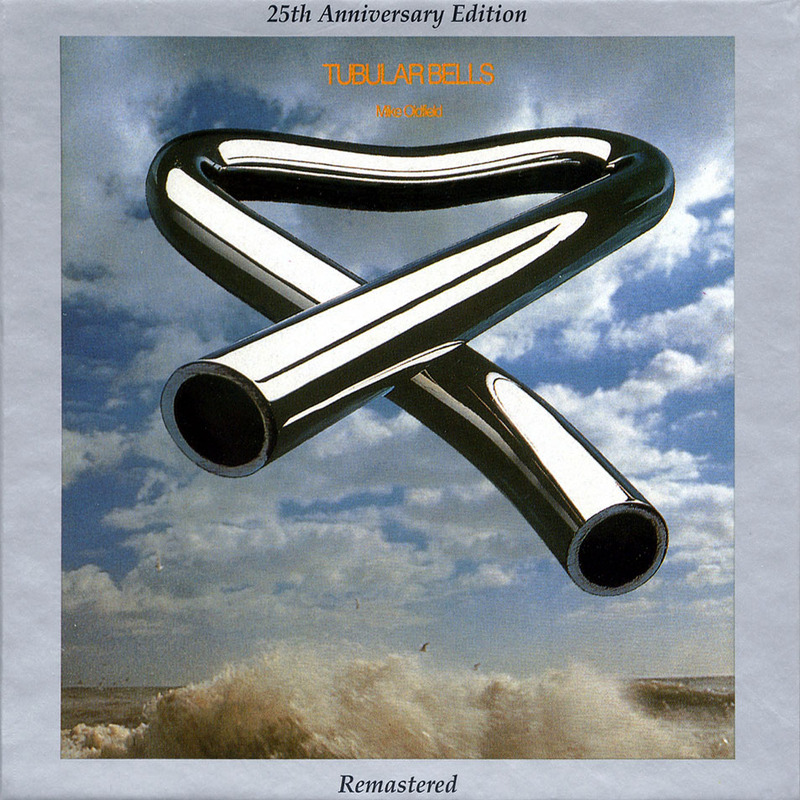 Pues “Tubular bells”, por supuesto. El pasado 25 de mayo se cumplió un cuarto de siglo de la salida al mercado inglés de esta histórica grabación. Para celebrarlo, Virgin la ha reeditado en una lujosa edición remasterizada que estará a la venta sólo durante un tiempo limitado. Es la primera vez, extrañamente, que las cintas máster originales son vertidas al formato digital (las precedentes tiradas en CD carecían de ese privilegio). 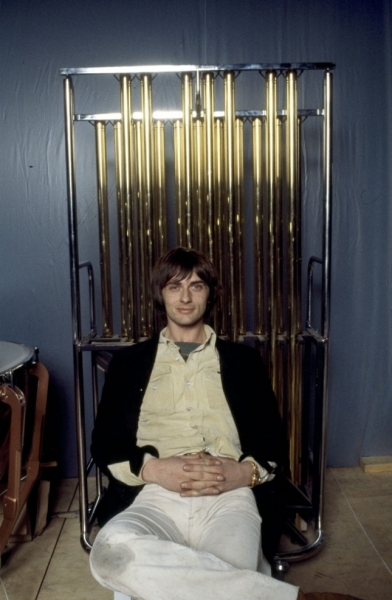 No falta tampoco el consabido libreto explicativo que abunda en notas y declaraciones extraídas del libro “The making of Mike Oldfield’s Tubular bells” escrito por Simon Heyworth, uno de los coproductores del plástico junto a Tom Newman y el propio Mike (las direcciones donde pedir el volumen se imprimen en esta edición). Dichas notas aportan nueva luz a la leyenda que rodea a una obra tan mítica. El crucial papel de Newman y Heyworth –los primeros que creyeron en Oldfield– en el proceso no sólo de grabación, sino también de edición del disco, queda meridianamente definido (hay que tener en cuenta que es este último el que escribe, de todas formas), así como la decisiva intervención de Simon Draper, el socio de Branson. A diferencia del primero (que no tenía “ni idea de música” en palabras de Newman), Draper sí que supuraba sensibilidad hacia el arte de Euterpe. De él nació también la idea, según Heyworth, de crear un sello discográfico con el mismo nombre de la tienda para dar salida al material espinoso. “Si tenemos que hacerlo, hagámoslo con esto (‘Tubular bells’) y seamos realmente diferentes”, habría dicho Draper una vez que Branson hubiera paseado sin éxito el máster del disco por el Midem de Cannes a principios de 1973 obteniendo como única oferta la de un ejecutivo yanki que le garantizaba 20.000 dólares “si le ponía voz encima”. “Pienso que eso es lo que atrajo a Richard Branson” –ha escrito Heyworth– “: el hecho de que estaba siendo diferente y se estaba arriesgando, aventurándose donde nadie lo había hecho antes. Apelaba a su olfato de jugador”. Si la edición del trabajo se asemejó a un parto, no menos puede decirse de la grabación. Trasladar las diferentes partes instrumentales que el joven Mike llevaba componiendo y arreglando desde que era adolescente de su modesto magnetófono de cuatro pistas a una consola de dieciséis resultó un ímprobo viaje iniciático en el que todos los interesados aprendieron mucho, especialmente el pobre Mike. Para la primera cara del disco sólo dispuso de una semana en The Manor (un estudio situado en Shipton—on—Cherwell, a una hora de Londres, después convertido en prestigiosa instalación) en otoño del 72, mientras que la segunda se registró en esporádicas –y cortas– sesiones durante los meses siguientes. No es de extrañar que, como él mismo ha confesado, “fuera presa de un desesperado pánico” durante todo el proceso. ¿Cómo habrías estado tú, amable lector, si hubieras tenido que tocar una veintena de instrumentos y realizar más de dos mil “overdubs” (sobregrabaciones)? ¡Y más teniendo en cuenta que su experiencia en el negocio discográfico se limitaba a un lanzamiento precoz (“Children of the sun”, 1968) junto a su hermana Sally como el dúo Sallyange y a pequeñas apariciones de dos LPs de Kevin Ayers (“Shooting at the moon” y “Whatevershebringswesing”)! No obstante, siempre contó con el asesoramiento de Newman y Heyworth y la inestimable ayuda de algunos músicos invitados: Jon Field a las flautas, Lindsay Cooper a los contrabajos, Mundy Ellis y su hermana Sally a los coros y Steve Broughton (el hermano de Edgard Broughton), que toca la batería en la más dinámica segunda cara del larga duración, aunque, sin duda, la colaboración más importante, perdurable y chocante vino de Viv Stanshall, el “maestro de ceremonias” que presenta con teatral engolamiento a los instrumentos al final de la primera parte. Fue una afortunada inspiración de Mike y no se optó por Viv por ningún motivo especial, sino porque éste estaba de visita en The Manor porque su banda, la descacharrante Bonzo Dog Band, entraba en el estudio justo después de Oldfield. Como sucede muchas veces en la vida, la casualidad conformó uno de los momentos más inspirados del vinilo. Lo que sin duda no se debió a la casualidad fue el enorme éxito del plástico (nº 1 en Gran Bretaña y nº 3 en Estados Unidos) pese a su, a priori, escasa comercialidad (48’57” de música instrumental) y su “carácter rompedor”, tal y como lo ha definido José Ramón Pardo en su libro “La discoteca ideal de la música pop”. Albergaba una enorme cantidad de melodías resultonas y una especial mixtura de sabores folkies con revestimiento rockero y aromas de los grandes maestros contemporáneos (Sibelius, Luigi Nono, Vaughan Williams). Naturalmente, también influyó que algunos compases del intrigante pasaje inicial se incorporaran a la banda sonora de una película tan taquillera como “El exorcista”. En su época fue considerado la cima del rock progresivo, entonces muy en boga (y las críticas fueron, en general, elogiosas), aunque en retrospectiva resulte más el patrón pionero de lo que posteriormente conformaría el género denominado como new age, a saber: sonidos electroacústicos de agradable textura y para todos los públicos, pero canalizados a través de aparatosos montajes destinados a convencer a un público treintañero y pudiente, que desprecia el sesgo juvenil y rebelde del verdadero rock y que carece de la formación suficiente como para apreciar la música clásica, de que está escuchando algo importante, acorde a su categoría social (aunque siempre existen agradables excepciones a la norma). Sólo la escasez de vinilo provocada por el aumento de los precios del petróleo tras la guerra del Yon Kippur entre árabes e israelíes impidió que “Tubular bells” vendiera más millones de copias. En 1975 se estrenó la versión sinfónica de la partitura (“The orchestral Tubular bells”). Para entonces, Oldfield proseguía la senda abierta por su obra magna (que tendría, como es sabido, una digna aunque oportunista secuela—homenaje en 1993) en LPs –”Hergest ridge”, “Ommadawn”– favoritos de cualquier estudiante de biológicas aficionado al rock progresivo (o rock sinfónico, si vivías en España) amén de una larga estela de interesantes colaboraciones con músicos más subterráneos y transgresores (David Bedford, Robert Wyatt, el propio Kevin Ayers…). Faltaba menos de una década para su reconversión en artista convencional, al frente de una banda con numerosos éxitos en sencillo (“Family man”, “Moonlight shadow”, “To France” …), fruto del descalabro económico que le supuso reflejar sus delirios sinfónicos y orquestales en directo. De artista “ingrabable” y “difícil” a punta de lanza del pop dirigido a las necesidades del mercado. Como Branson, que pasó de empresario hippie a millonario snob. Como la propia Virgin, antaño receptáculo de lo que las demás discográficas veían como “arriesgado” y hoy hogar de fenómenos descaradamente ultravendedores como Backstreet Boys o Spice Girls. La lógica del negocio también arrolló a Mike Oldfield, pero su obra permanece… y uno aún sigue experimentando una agradable sensación al revisitar “Tubular bells”. 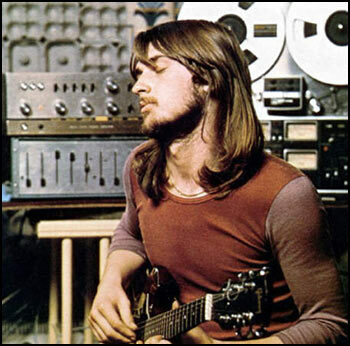 The music of Mike Oldfield is some of the most spiritual, ethereal, reflective and sensual in rock. Oldfield himself created his own genre with his groundbreaking 1973 work, Tubular Bells, and has continued to craft highly individual works to this day which have built him a loyal international following. When Oldfield’s Virgin catalogue moved to Mercury in 2008, the label has worked closely with him to ensure the highest standard in revisiting his masterworks from the 70s and 80s. The fourth instalment in his catalogue reissues, Incantations, is released on July 25th. Incantations, originally released in November 1978 was Oldfield’s first and only studio double album. Comprising of four parts of the title track, it was a masterpiece of minimalism, with Oldfield again playing many of the instruments, with old friends including David Bedford conducting the choir and orchestra, Pierre Moerlen on drums and Mike’s sister Sally on vocals. With the remaster overseen by Oldfield himself, the packages contain a variety of rare material; and again, as with Tubular Bells, Hergest Ridge and Ommadawn, contain a brand new 5.1 mix of Excerpts of Incantations by Oldfield on DVD, as well as footage from his 1979 concert tour that supported the album. Both CD formats also include ‘Guilty’, Oldfield’s legendary 1979 single recorded in New York City at the height of the disco movement. Few expected the man who crafted 25 minute sides of symphonic rock to hit the dancefloor with such élan. With artwork overseen by Oldfield and extensive notes, Incantations is the marvellous next instalment of Mike Oldfield’s compelling catalogue. Remastered by Oldfield himself, the packages contain a variety of rare material; and again, as with Tubular Bells, Hergest Ridge and Ommadawn, contain a brand new 5.1 mix on DVD excerpts from Incantations, as well as footage from Oldfield’s 1979 concert tour that supported the album. Both CD formats also include ‘Guilty’, Oldfield’s legendary 1979 single recorded in New York City at the height of the disco movement. Few expected the man who crafted 25 minute sides of symphonic rock to hit the dancefloor with such élan. Mike Oldfield | Ommadawn: Deluxe Edition (2CD & DVD) 2010 | Official Mike Oldfield Store at Universal Music.